Item # 299721 Stash Points: 4,397 (?) This is the number of points you get in The Zumiez Stash for purchasing this item. Stash points are redeemable for exclusive rewards only available to Zumiez Stash members. To redeem your points check out the rewards catalog on thestash.zumiez.com. 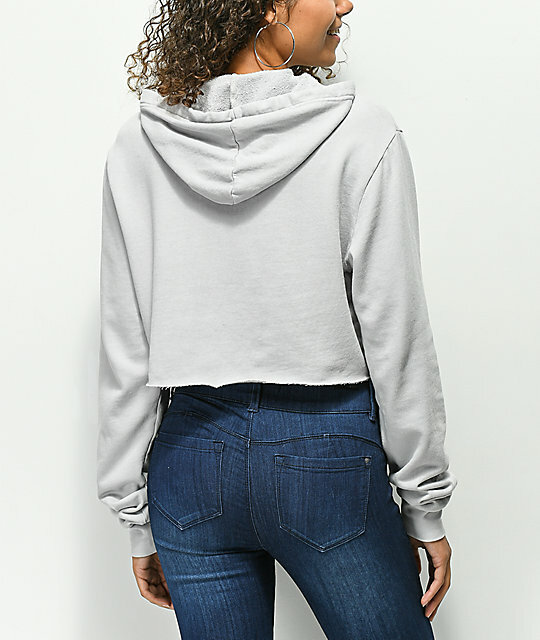 Coming in hot, the Cheetah cropped hoodie from Diamond has all the cute built in. 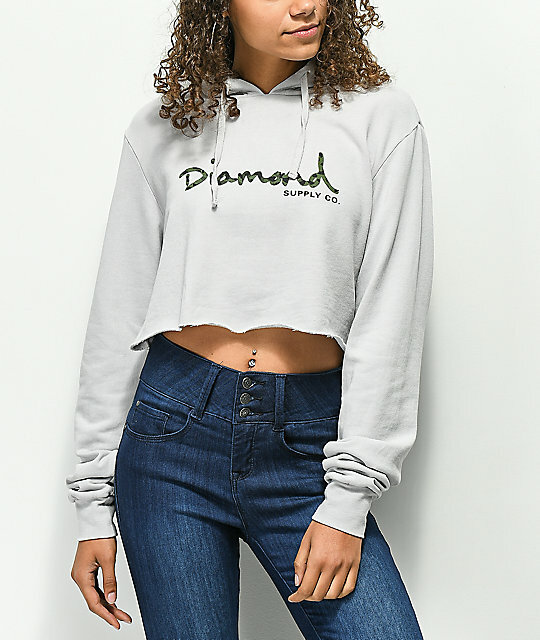 Featured in a light grey colorway, this pullover sweatshirt is embellished with Diamond script across the chest in green camo and is finished with a flirty, raw cut-off bottom hem. 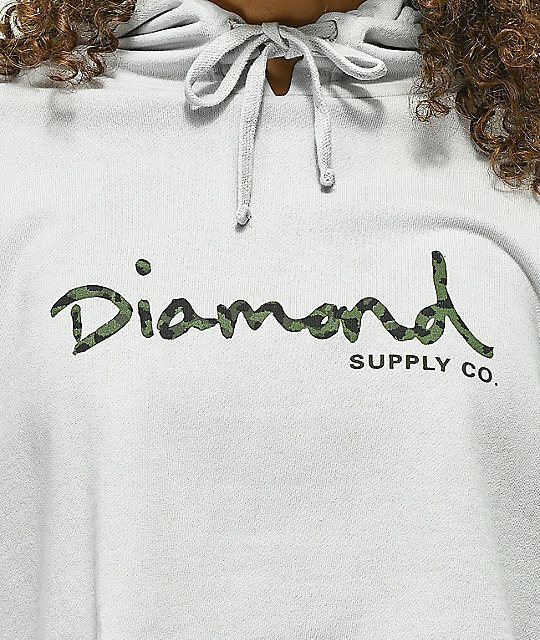 Cheetah Grey Crop Hoodie from Diamond Supply Co.
Screen printed Diamond script on front. Unfinished cut-off bottom hem for a cropped look.